Thousands converged onto Addams Medill Park in Chicago during the nation’s largest 3-day Latin alternative music festival, Ruido Fest. 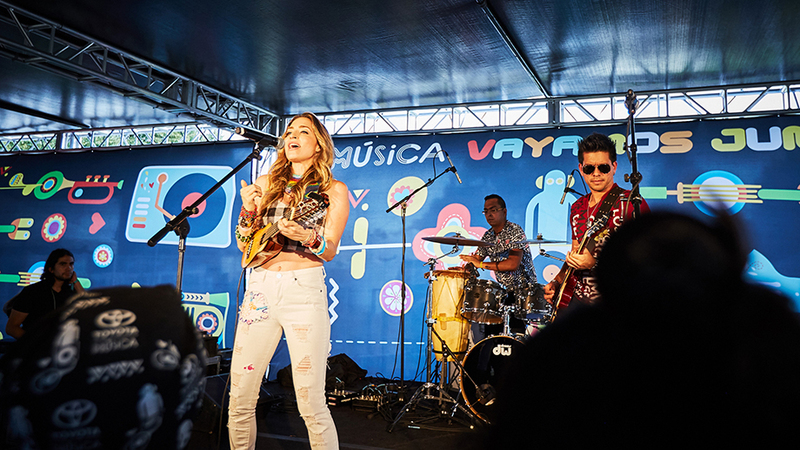 Powered by Conill, Toyota returned to the festival as the exclusive automotive sponsor of the musical extravaganza bringing the Toyota Música experience to life with a variety of activities and performances highlighting emerging artists and providing festivalgoers a weekend packed with musical delights. 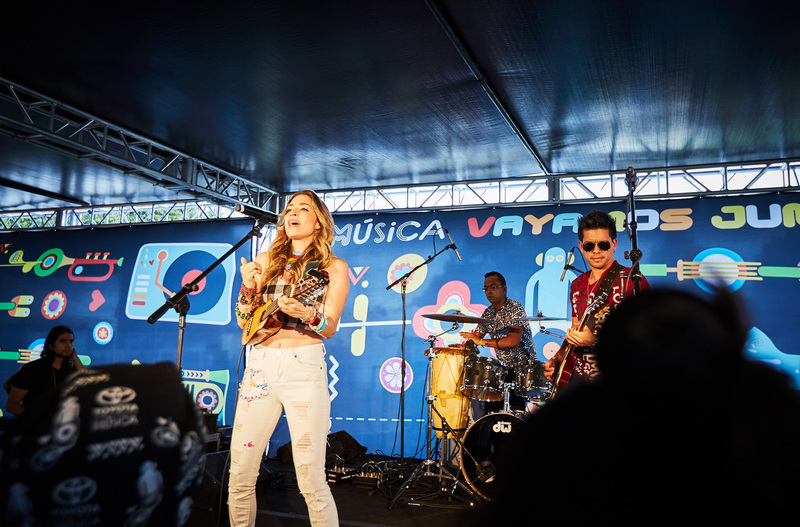 Toyota has supported music in Chicago and the surrounding region for a number of years through participation in a number of music festivals, as well as philanthropy. In addition to Ruido Fest, Toyota is gearing up for an epic return to the Lollapalooza festival in August. The interactive and engaging space also featured an array of vehicles and music-inspired activities. Guests took Instagramable photos inside the Toyota RAV4 while also taking home the Chicago skyline on a custom vinyl cityscape when they sat inside the sporty Corolla. Emcee Renzo also entertained guests spinning music on the stage during the 3-day Toyota Música experience. 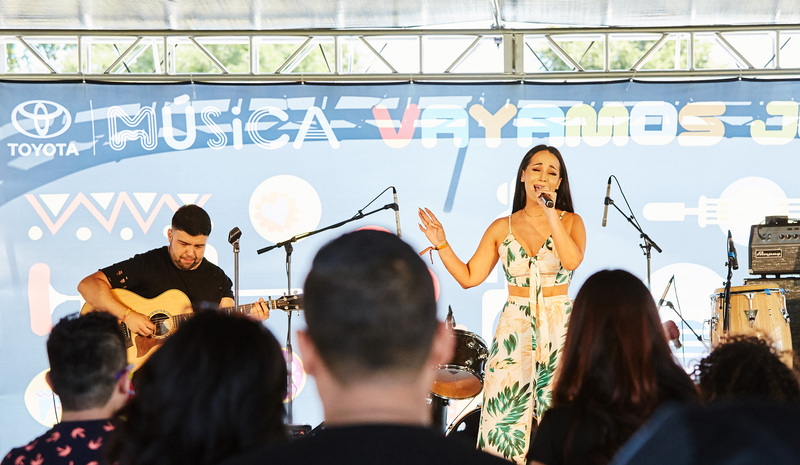 In addition, Toyota (@ToyotaLatino) invited multi-platinum Universal recording artist Joey Montana (@JoeyMontanaT) and Mexican-American radio host Krystal Bee (@KrystalBee) on a road trip to the Windy City to discover new music artists at Ruido Fest. The journey continues later this month to FYF Fest in Los Angeles and Lollapalooza in August aboard the stylish all-new Toyota C-HR. Fans can follow the music and journey on Facebook, Twitter and Instagram with hashtag Vayamos Juntos.